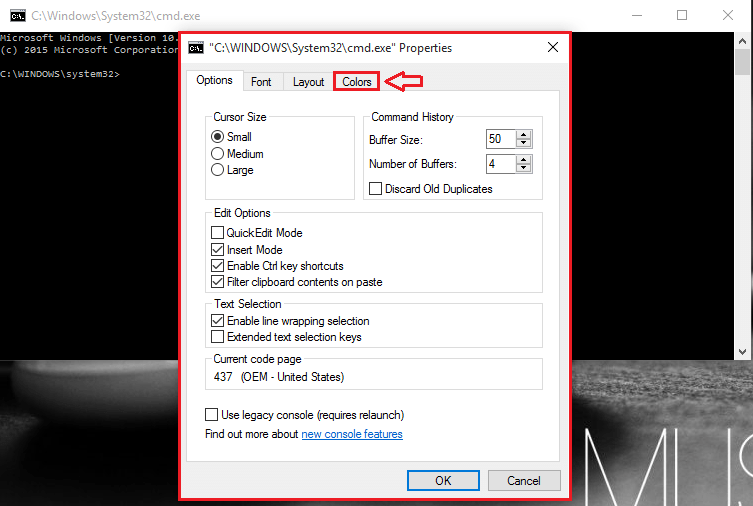 How to make CMD transparent in Windows 10:- Whenever the news of a newer version of Windows hitting the market pops up, users eagerly start waiting to check out it’s new features. But when it comes to Command Prompt, disappointment has always accompanied. Even though Command Prompt has been a part of Windows for such a long time, it has always faced nothing but ignorance. Yeah, that’s so sad. But there is good news. With the new windows version, Windows 10, our own Command Prompt has emerged with a lot of new super cool features. Now copy and paste can be done with the CTRL+C and CTRL+V key combinations, which wasn’t possible with older versions of Windows. Also, the Command Prompt window can now be maximized to full screen width. But what’s more cool is something else. What if I tell you that your Command Prompt can now be made completely transparent, that too without the help of any additional software? Yeah, that’s true. It can be extremely useful when you have to type something in, into your command prompt by looking at a web page instruction or something of that sort. Read on, to learn how to hack this simple trick. 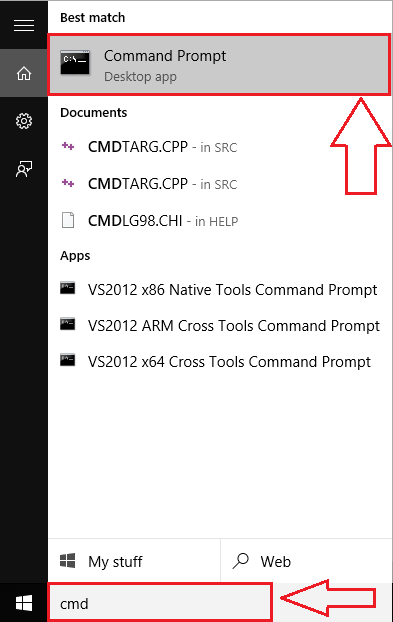 First of all, launch Command Prompt by typing in cmd in your Cortana search box. Cortana will list the search results. Find Command Prompt from the search results and click on it to open it. The execution of the previous step will launch the Command Prompt. Now right click on the title bar to see a hidden menu. Find Properties and click on it, which is probably the last option. When the Properties window opens up, look for the tab named Colors. Click on it to get to the next step. There you will see a number of options to customize your Command Prompt. Look for a section named Opacity. The slider for Opacity lets you set the transparency for your Command Prompt. If you do not want your Command Prompt to be transparent at all, set the opacity slider to 100%. If you want it to be completely transparent, drag it to the left most end. Set the transparency as per your preference. 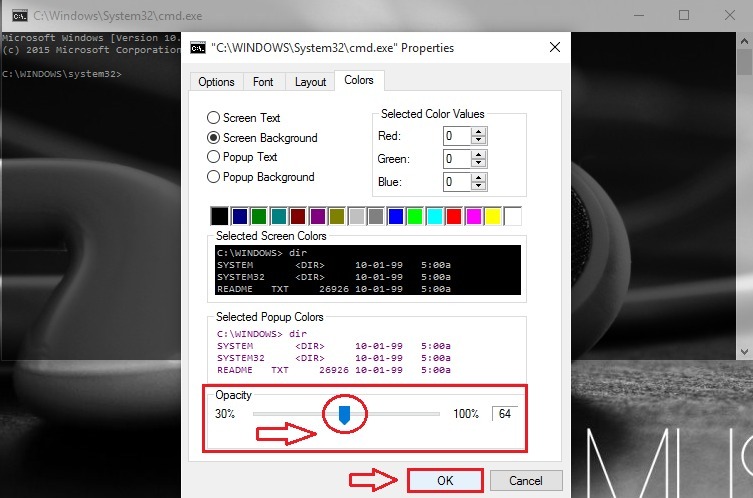 As you drag the slider, you will be shown a live preview of Command Prompt by Windows, which can be pretty useful. When you are done, click on OK button. There you are, your Command Prompt now looks as cool as anything! That’s it. This super cool feature can be implemented without any additional software now. Try out this trick today itself. Hope you had fun reading the article.